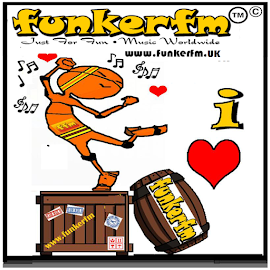 By accessing Funkerfm - www.funkerfm.uk, www.facebook.com/funkerfm, www.twitter.com/funkerfm World Wide Web ("the Webpages") or any of the pages, you agree to the following terms. You must not access our pages if you do not agree to the following terms stipulated. 1.The information on this server is protected by Copyright © 2017. All rights reserved Funkerfm Sdn Bhd. 2.Reproduction, record, transfer, distribution or storage in any form of part or all of the songs that broadcast/On-air by Funkerfm is strictly prohibited. Each song is under the Composer/Owner/Producer/Record Label/Production Studio/Artist which is relevant having all rights reserved and protected by Copyright. Without the prior written permission of the above-mentioned owner of the songs are strictly prohibited. 3.Funkerfm Sdn Bhd does not consent you storing in your computer/printing copies/ of extracts from these pages for your personal non-commercial use without prior written permission. 4.Funkerfm Sdn Bhd does not consent/ authorize/grant to anyone/any other website operator/any webmaster to install any kind of player when accessed, by means of a direct connection with an intention to listen to Funkerfm internet radio. Although to have a link on your Website, Blog, Portal, Forum, Multimedia etc. which is pointing to Funkerfm website www.funkerfm.uk is permitted. 5.Funkerfm Sdn Bhd does not consent or authorize or grant to anyone or to any website user any right to reproduce, copy or distribute by any means, method or process whatsoever, any of the musical works including but not limited to transferring or downloading any such musical work which are covered by the Copyright to a computer hard drive, or onto other storage medium during our broadcasting. Therefore, Funkerfm Sdn Bhd shall not be responsible or liable under any circumstances or for any causes if anyone is found guilty with Fine / Penalty by the Authorities / Record Labelling / Composer etc. 6. 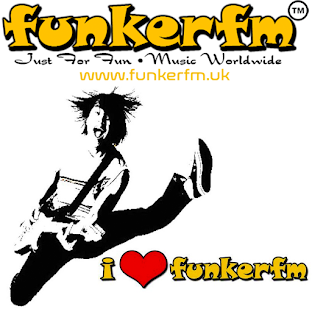 "Funkerfm" and the symbol are Trademarks™ of Funkerfm Sdn. Bhd. Third parties product and service names profiled herein are trademarks and service marks of their respective companies. Nothing contained shall be construed as conferring a license of Funkerfm’s intellectual property rights on you. 7.The information on this Webpage server is provided "as is". Except as required by applicable law and except to the extent that this disclaimer (or part of) is held to be invalid no warranty of any kind, either express or implied, including any implied warranty of merchantability or fitness for a purpose is made in relation to the accuracy, reliability , completeness or content of the pages. The information contained in the Web pages herein may include technical inaccuracies or typographical errors. 8.Funkerfm reserves the rights to revise the pages or withdraw access to them at any time. Funkerfm assumes no responsibility for material created or published by third parties that Funkerfm's World Wide Web pages have been linked to as the material has not been verified or authenticated by Funkerfm. Note: Funkerfm shall not be responsible for any damages suffered as a result of your use of the information in the Web Pages and in no event shall Funkerfm be liable for any indirect punitive or consequential damage howsoever arising from your use of the Web Pages or the information contained herein.